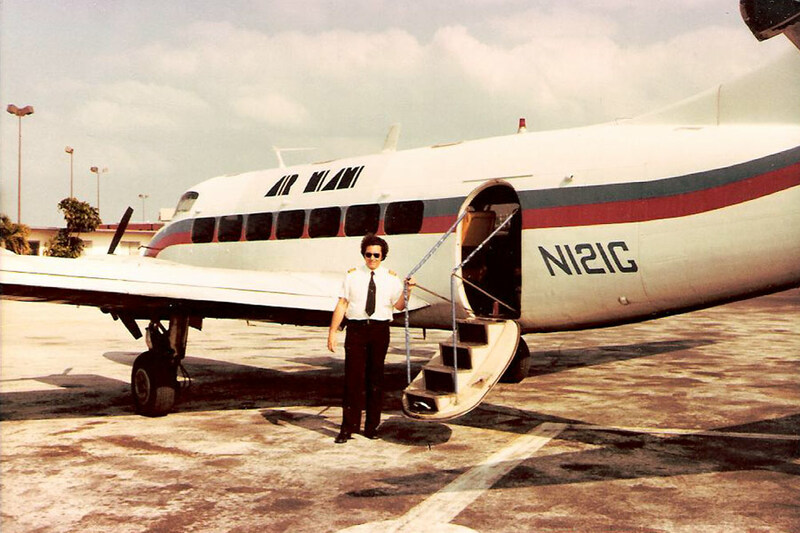 Primarily an air taxi company, Air Miami operated scheduled flights beginning in 1977. The company purchased Shawnee Airlines in 1978, and operated it as a separate entity until early 1980. 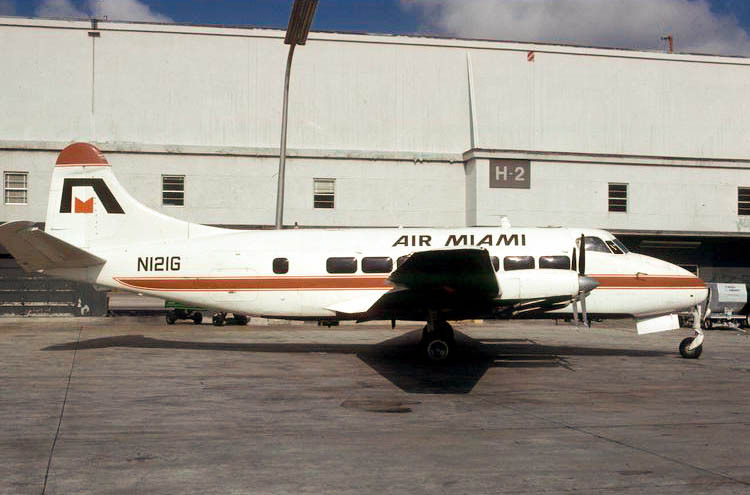 Air Miami is noteworthy for being the first airline to operate as an Air Florida Commuter carrier in 1980. The airline became North American Airlines on December 1, 1980. These first two photos show Air Miami's de Havilland DH-114 Heron N121G at Freeport, Bahamas circa 1977-78. 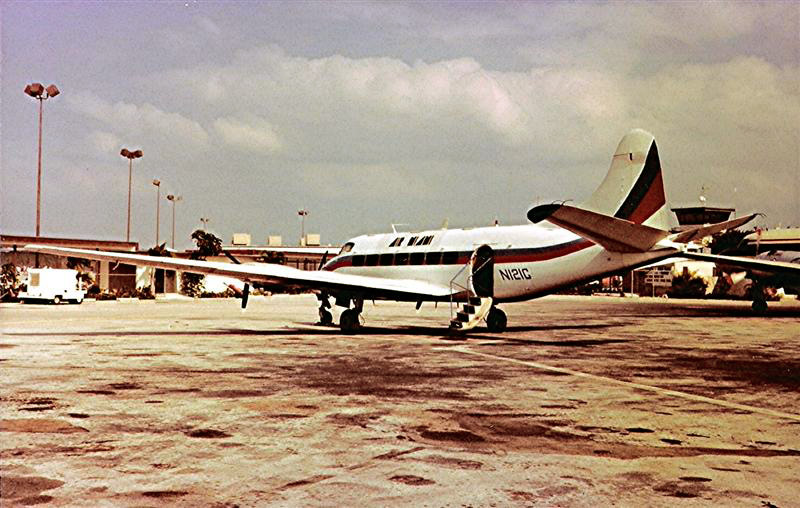 Air Miami de Havilland DH-114 Heron N121G at Miami in 1980 wearing the revised color scheme. Air Miami timetable effective May 1, 1980 showing "Bee-Line Service" between Miami and Ft. Myers. For additional timetable images and information, visit the Air Miami page at Timetable Images.